The memorial is comprised of a rectangular bronze plaque attached to a massive structure built with granite rocks. This is unique to those placed in North Carolina. The others were all attached to a single granite bolder. It is also unique in that an inscription was etched into a row of the stones. The bronze plaque is identical to the others placed in this state. In relief inside an oval that encompasses one third of the plaque is a representation of General Robert E. Lee astride his horse Traveler. The inscription, also in relief, appears below the oval. The Dixie Highway was first planned in 1914 and became part of the National Auto Trail system and initially was intended to connect the Midwest with the South. Rather than a single highway the result was more a small network of interconnected paved roads. It was constructed and expanded from 1915 to 1927. The eastern route of the Dixie Highway mostly became U.S. Highway 25. 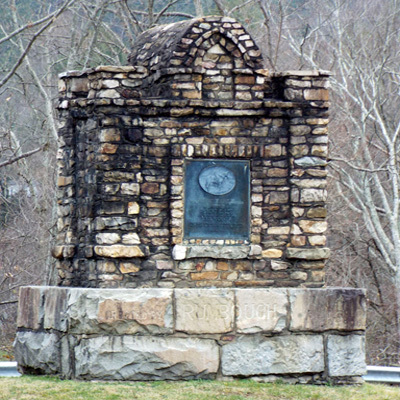 Starting in the late 1920s, the United Daughters of the Confederacy placed bronze plaques on granite pillars to mark the route of the Dixie Highway and honor General Robert E. Lee. Surviving examples in North Carolina can be found in Marshall and Hot Springs in Madison County, in Asheville in Buncombe County and in Fletcher, Hendersonville and near Tuxedo all in Henderson County. 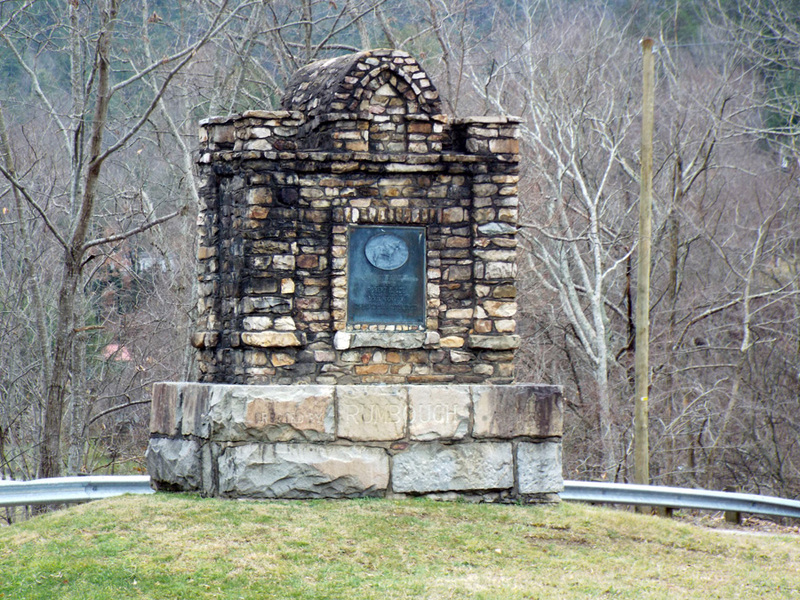 The efforts to mark the Dixie Highway in North Carolina were led by Mrs. James Madison Gudger, Jr. of Asheville who also designed the plaque. The North Carolina Division of the United Daughters of the Confederacy raised $800 to have the die cast for the plaque and then loan it to other states for marking their highways. Other states do not appear to have taken advantage of the die aside from an example in Greenville, South Carolina. It is thought that 10 total were made from this die leaving several unaccounted for. The monument is located on a mound in a traffic circle where Surpentine Ave. meets with Highway 25 near Hot Springs Elementary School. The memorial stands on a grassy area, with a beautiful surrounding scenery of mountains and mature trees.